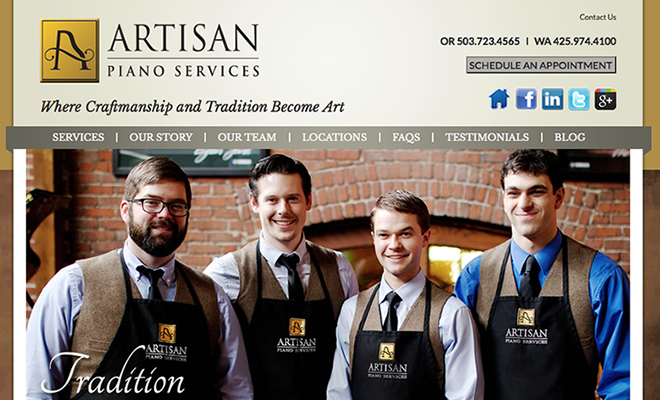 Artisan Piano Services wanted a classic and elegant website to market their piano services business. We helped them to create a gorgeous site which incorporated social media and video. We also helped them to fine tune their branding all to solidify their marketing message.